First off, it now seems that there is a design for an android that you can download, print and assemble in the comfort of your home – assuming you have access to a 3D printer. Designer Gael Langevin, who calls his project InMoov, has spent the last year perfecting the concept for a voice-controlled android that can be constructed from parts generated by a 3D printer. And not only that, he has made the entire project freely available via open source so that any DIY’er can print it on their own. Then came the announcement of something even more radical which also sounds like it might be ripped from the pages of a science fiction novel. Just yesterday, a team of researchers at Heriot-Watt University in Scotland announced that they used a new printing technique to deposit live stem cells onto a surface in a specific pattern. This is a step in the direction of using stem cells as an “ink” to fashion artificial organs from a 3D printer, which is their ultimate goal. 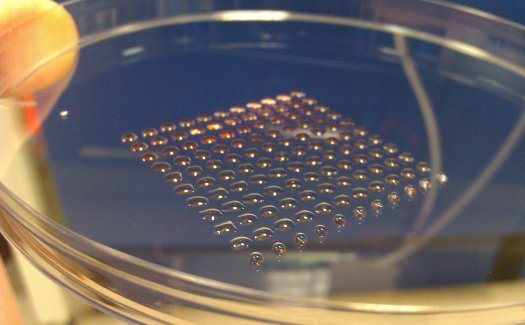 The process involves suspending the cells in a “bio-ink,” which they were then able to squeeze out as tiny droplets in a variety of shapes and sizes. To produce clumps of cells, they printed out the cells first and then overlaid those with cell-free bio-ink, forming spheroids, which the cells began grouping together inside. Using this process, they were able to create entire cultures of tissue which – depending on the size of the spheroids – could be morphed into specific types of tissue. And last in the lineup is perhaps the most profound use proposed for 3D printing yet. 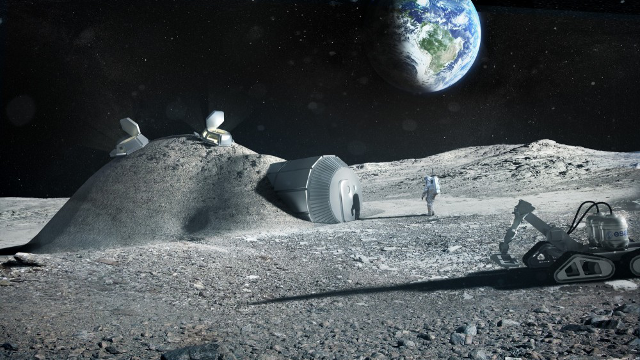 According to the European Space Agency, this relatively new technology could turn moon dust into moon housing. You read that right! 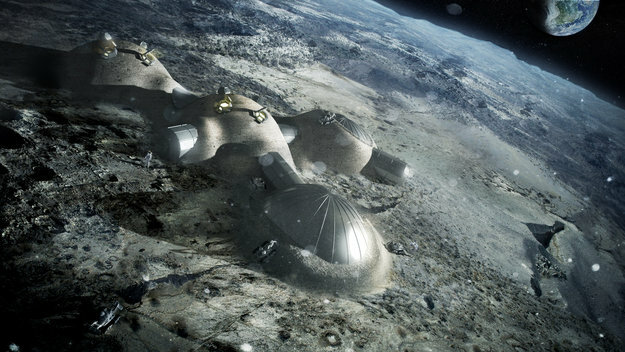 It seems that a London-based design firm named Foster+Partners is planning to collaborate with the European Space Agency to build structures on the Moon using the regolith from the surface. The process is twofold: in the first step, the inflatable scaffolding would be manufactured on Earth and then transported to the Moon. Once there, a durable shell composed of regolith and constructed by robotically-driven 3D printers would be laid overtop to complete the structures. 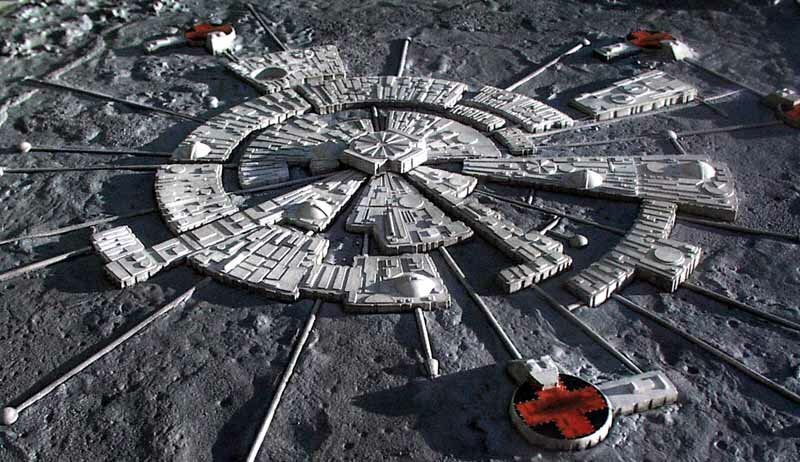 The scheme would not only take advantage of raw materials already being present on the lunar surface, but offers a highly scalable and efficient model for construction. Should the plan be put into action, a research expedition or colony would first be established in the southern polar regions of the Moon where sunlight is constant. From there, the scaffolding and components of the printing “foundry” would be shuttled to the moon where they would then be assembled and put to work. Each house, once complete, would be capable of accommodating four people, with the possibility of expansion should the need arise. For now, the plan is still in the R&D phase, with the company looking to create a smaller version using artificial regolith in a vacuum chamber. Impressed yet? I know I am! And it seems like only yesterday I was feeling disillusioned with the technology thanks to the people at an organization – that shall remain nameless – who wanted to print out “Wiki-weapon” versions of the AR-15, despite the fact that it was this very weapon that was used by the gunman who murdered several small children in the town of Newton, Connecticut before turning the weapon on himself. Yes, knowing that this technology could be creating life-saving organs, helpful androids and Lunar housing goes a long way to restoring my faith in humanity and its commitment to technological progress. I guess that’s how technology works isn’t it, especially in this day and age. You don’t like what it’s being used for, wait five minutes! Barely Political Tackles Star Wars VII! Okay, so we’re developing technology that could create Terminators or Lovebots, and if they ever go against us, we’ll use that same technology to build us a home on the moon. Newt Gingrich must be thrilled! It gets worse. There was another article about a robot-controlled 3D printer too that didn’t make it into the mix. So we’ll have robots making robots… peachy!